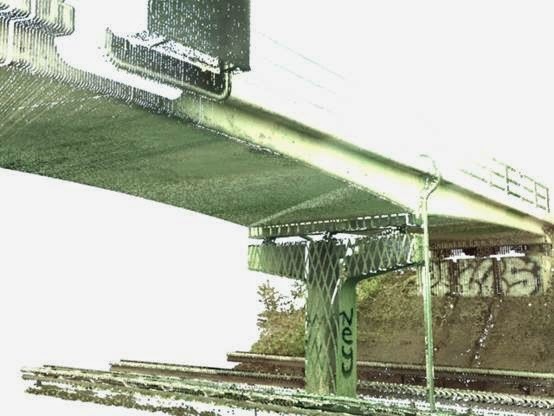 One of the new features in Max Design 2015 is the ability to import surveyor's point cloud data. This now brings Max into line of import capabilities with the other products in Autodesk range like Civil 3D, Revit and the Core AutoCAD product. 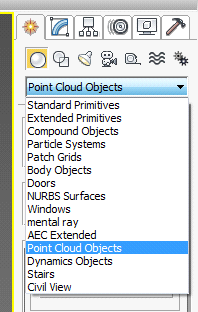 The import command can be accessed from the 'Geometry' option in the command panel, located about halfway the drop down list with the label Point Cloud Objects. Max won't bring in Raw point cloud data, but it will read Autodesk Recap file formats (RCP). This process will be covered in an additional blog in the near future. 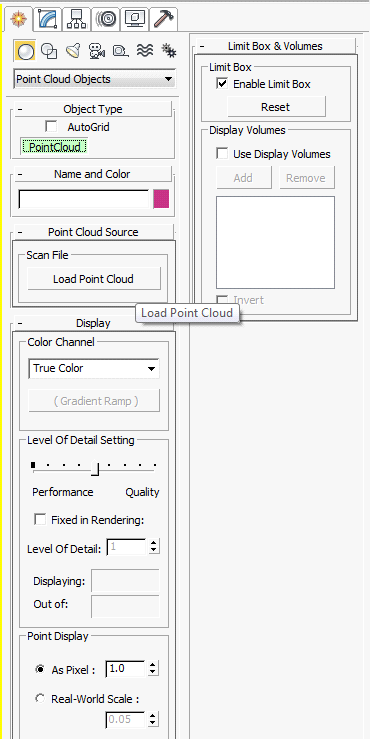 Clicking on that command brings up the following set of options in the command panel, including the import RCP function. Options include, point density, giving a control of performance versus quality. With additional settings for rendering purposes as opposed to viewport settings. 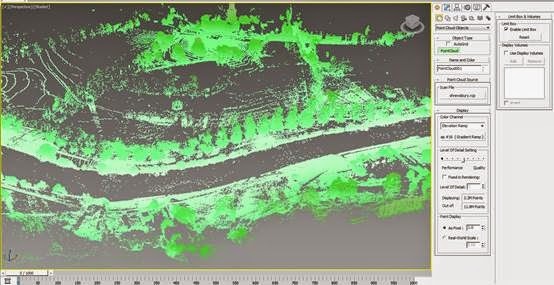 The colour channel options allow you to theme the point cloud data with either the original colour settings (dependent upon the file format and age of data) , elevation, intensity or normal options. In the screen shot below I used the Elevation 'ramp' and configured it with 5 nodes to give a reasonable range in colours. Newer point cloud formats will display reflected colours and textures which can be seen in the rendered example below.